Unfortunately, Kat had a stillborn in 2017 and due to the incompetency of a new vet was ruined for breeding! She is looking for a special new home. When the Carmichael's announced they were retiring from the breeding business, we contacted them immediately about BAL Katmandu (aka Kat) and made arrangements to add her to our herd for a pairing with our awesome full Peruvian male ﻿﻿Marisco. We have always admired the production of Silver Peru. A Patterson bred male (*La Raya Peru x Constance), Silver Peru has proven himself repeatedly through his award winning offspring over the years. 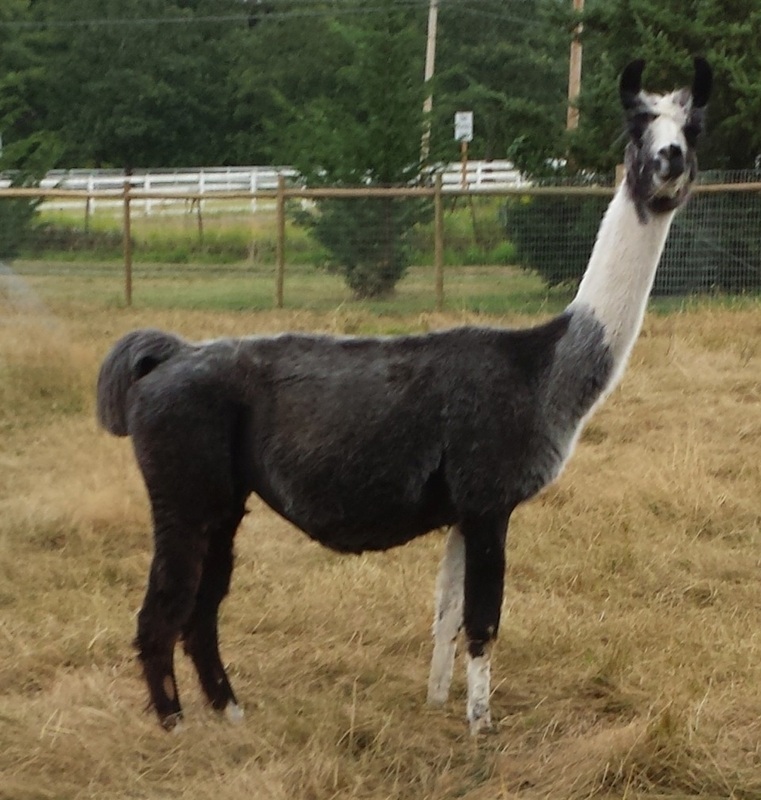 He was a cornerstone of the Berry Acres (since dispersed) breeding program and then joined the Spittin' Creek Llamas breeding herd. He is half Peruvian and half Chilean. Grandsire *La Raya Peru sold for $80,000 at the 1993 Peruvian Sale to the Pattersons and later was sold to Wayne Rankin of Golden R Heart Ranch. Constance was one of Patterson's best producing Chilean females. "She was probably one of the best dams we ever owned...all her offspring were slam dunk beauties...and she was really consistent with the quality of her babies. We had a whole "cat" line of top notch offspring from this extraordinary daughter of the great Herdsire Catman...if my memory serves me Catman was syndicated for over $175,000.00 back in the early days. Also, as I recall, we paid over $40,000.00 for Cat's Caress." Kat was shown as a juvenile and was bought back by the Goodyear's at their 2003 sale for $7,200. They showed her at numerous shows while they had her and she won a second at the Mid West Challenge Futurity in a large class, 1st in the Laurel Highlands Futurity/1st and Grand Champion at that same show and was part of the ALSA 2003 Grand National Get of Sire group that won for Silver Peru. Kat finished her show career with her ALSA Halter ROM. In 2004 they sold her at the Galaxy Sale for $10,000 to Sonador Farms. ﻿﻿The two full siblings to Kat sold for a combined total of $51,000 (public sale records, does not include private sales). 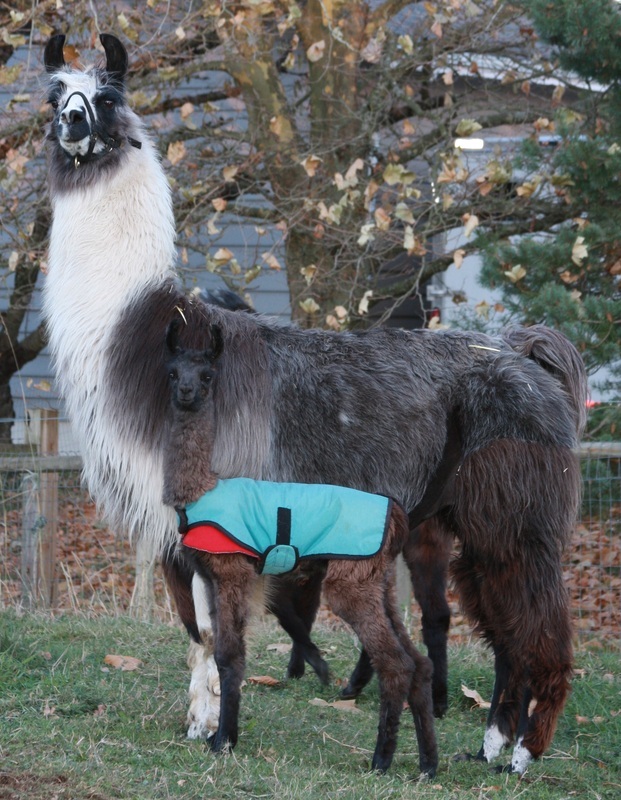 Needless to say, this is a very consistent and respected bloodline in the llama world. We are thrilled to have added this quality female to our select breeding program! 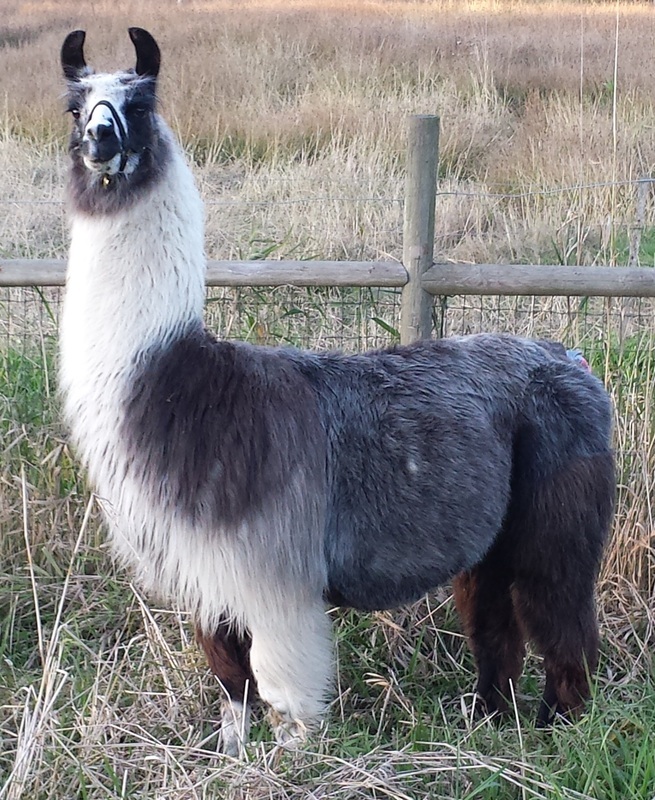 Kat's first production at JNK was by Marisco is an outstanding female "JNK Marisco's Aglianica" (pronounced Ali-On-E-Ca) that is now owned by Carol Reigh of Buckhollow Llamas. 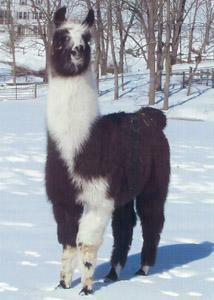 Kat's next offspring was a nice female by Marisco named "JNK Marisco's Katastrophe." Katastrophe was supposed to join the JNK Keeper Herd, but was sold to a friend that really wanted her. This is a breeding flier for our Kat's grandfather "Catman."